Another widespread and firmly held medical belief looks like it’s about to be shattered. 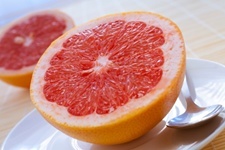 Acidic fruits, such as oranges, grapefruit, and tomatoes, are commonly cited in the mainstream media as potential bladder irritants that actually increase the risk of suffering from urinary incontinence; but researchers from Harvard Medical School have found convincing evidence that there’s no link between acidic fruit intake and incontinence. There has been a long and vociferous debate over whether acidic fruits play a role in incontinence, and the Harvard study examined whether higher intake of acidic fruits might be related to greater risk of urinary incontinence (UI) and progression in women. In one set of analyses, the researchers included women without UI as a study baseline in the Nurses’ Health Study. It was a massive study and the researchers were able to examine data from over 60,000 women. The incidences of UI over four years of follow-up—along with acidic fruit consumption—were measured by a food frequency questionnaire prior to the onset of UI. In a second set of analyses, the researchers examined UI progression over two years of follow-up among 21,000 women with existing UI. Risks were then calculated for the associations between acidic fruit intake and UI incidence and progression. To the surprise of many, the study found no relation between acidic fruit intake and risk of developing UI, including urgency, mixed and stress UI. In addition, there was no association between consumption of acidic fruits and UI progression, regardless of UI type. By dispelling the idea that acidic fruits put people in danger of UI, the researchers have convinced many to put healthy acidic fruits back in their diets. Acidic fruits have significant health benefits—they’re rich in vitamin C, antioxidants, fiber, and many other nutrients. Townsend, M.K. et al., “Acidic fruit intake in relation to incidence and progression of urinary incontinence,” International Urogynecology Journal, August 10, 2012.